Two weeks ago, Jerry Belland began our sermon series talking about the First Noble Truth of Buddhism, Dukkha or the inevitability of suffering in our lives. He shared how being mindful of the fact that everyone experiences suffering helped him to be more grateful, and to live with more compassion. I continued with the Second Noble Truth last week: suffering is caused by craving or attachment and it is rooted in ignorance. We talked about our Velcro nature as human beings, and about sitting with our suffering so that we might become mindful of the attachment, desire, or craving that was the root cause. Letting go of that attachment leads to a deeper level of peace. However, letting go is not only the goal, but the path. It is a continual process. Let's begin with right speech, right action and right livelihood. You can probably guess what right speech and right action look like. Both are kind, compassionate, honest and seek to do no harm. Right livelihood means that the way you make a living does not violate these things. The tongue… is a small part of the body, yet it makes great boasts. See how tiny the spark is that sets a huge forest ablaze! The tongue is such a flame. Among all the parts of the body, the tongue is a whole wicked world in itself. All kinds of animals… can be tamed by us, but no one can tame the tongue. It’s a restless evil, full of deadly poison. We use it to say, “Praised be our God and Creator”; then we use it to curse each other – we who are created in the image of God. Blessing and curse come out of the same mouth. This shouldn’t be. If there are any wise and learned among you, let them show it by good living – with humility, and with wisdom in their actions. But if you have the bitterness of jealousy or self-seeking ambition in your hearts, be careful or you’ll find yourself becoming arrogant and covering up the truth with lies. This kind of “wisdom” doesn’t come from above… The wisdom from above, however, has purity as its essence. It works for peace; it’s kind and considerate. It’s full of compassion and shows itself by doing good. This passage highlights very clearly how dangerous our words can be. The smallest comment from us can cause untold amounts of damage. And, I think it is true that the tongue is the hardest thing for a human being to control or tame. The lotus flower is a common symbol in Buddhism for a reason. 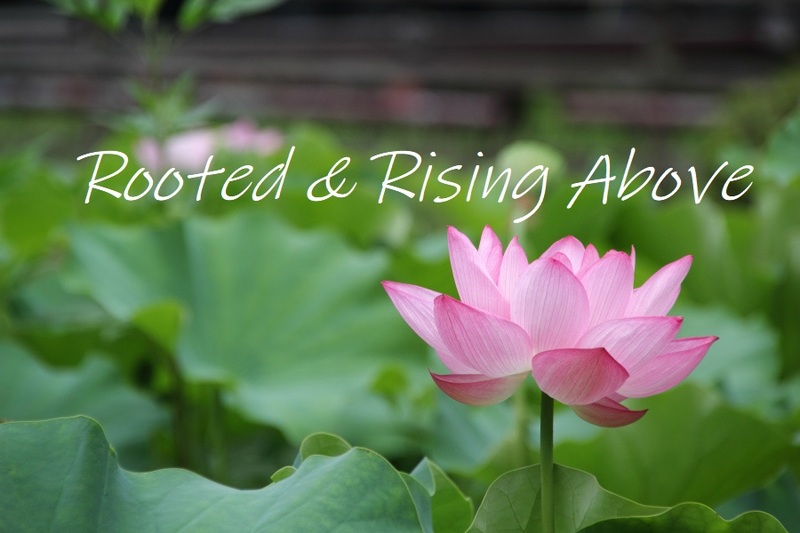 As you probably know, the lotus grows in ponds where it roots in the muck at the bottom, but it flowers on long stalks that rise above the muddy waters. It is a perfect metaphor for how we each must live and operate in this world, mucky as it is with its suffering, pain, frustration, challenges, while the goal of the spiritual life is to achieve a state of being that rises above that muck and muddy water to see and live with clarity and purity, or sacredness. In The Wise Heart, Jack Kornfield )suggests that one of the most important things we can do is to “clarify our motivation and set our intention.” “Intention," he says, "is the seed that creates our future.” When our motivation is rooted in anger, jealousy, fear, attachment, spite, depression, unworthiness, it is likely that the outcome will be negative. If, however, our motivation is rooted in respect, compassion and a desire to heal and move forward, then there is a much greater likelihood that we will shape a positive outcome. I learned a long time ago that if you want to hurt someone, you will. Is that really what you want? Think twice. Be aware. Our words and our actions can have long-ranging consequences. Every day in our interactions with other people, we need to ask ourselves, what our our words and actions are motivated by? What are our intentions in our conversations and actions? And then we need rise above the muck and muddy water, and choose the higher path. As the Dalai Lama has said, "I may make mistakes, but I can always rely on my sincere motivation."